Keep Mississippi Beautiful’s community improvement and beautification efforts were recognized among the top in nation. 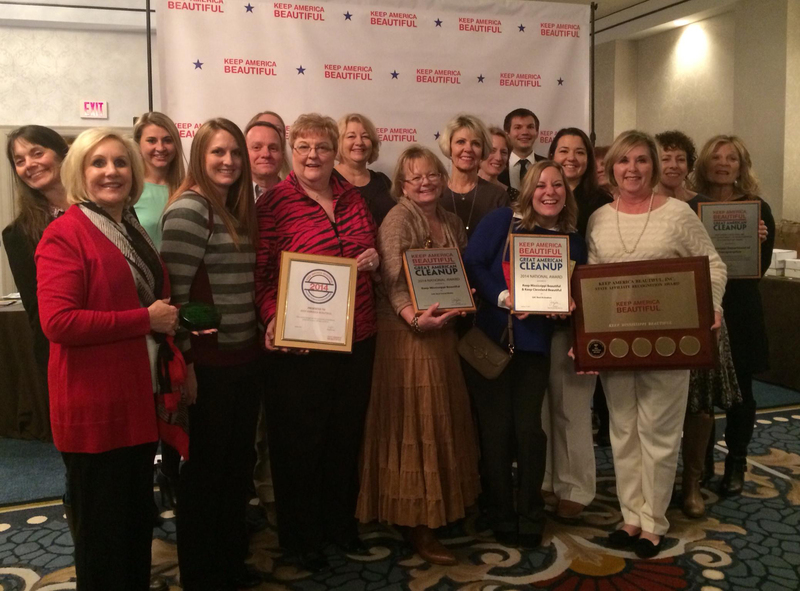 Keep America Beautiful honored KMB’s work with four awards in late January at its national conference. The first three awards honored KMB’s participation in Keep America Beautiful’s Great American Cleanup, a nationwide cleanup effort that engages volunteers to pick up litter, plant trees and shrubs, and encourage recycling. The fourth award, the State Innovation Award, recognizes KMB’s bulb effort, which led to the planting of more than 2 million bulbs across the state. Meanwhile, KMB was one of 12 state affiliates to receive the Diamond Level Designation for its active role in the Keep America Beautiful system. Leaders from Keep Ridgeland Beautiful, Keep Vicksburg Beautiful, Keep the Rez Beautiful, Keep Simpson County Beautiful, Keep Pike County Beautiful, Keep Pascagoula Beautiful, Keep the Coast Beautiful, Keep Copiah County Beautiful and Keep Corinth-Alcorn Beautiful joined KMB staff in Washington, D.C. this week for Keep America Beautiful’s annual conference. At the conference, people across the nation gather to learn and share ideas on litter cleanup, recycling and beautification. Additionally, a number of KMB affiliates received the President’s Circle Awards. They include: Keep Cleveland Beautiful, Keep Clinton Beautiful, Keep Copiah County Beautiful, Keep Corinth-Alcorn Beautiful, Keep Diamondhead Beautiful, Keep Flora Beautiful, Keep Kosciusko Beautiful, Keep Lincoln County Beautiful, Keep Mississippi Beautiful, Keep Monroe County Beautiful, Keep Pascagoula Beautiful, Keep Pearl Beautiful, Keep Pike County Beautiful, Keep Ridgeland Beautiful, Keep Simpson County Beautiful, Keep The Rez Beautiful and Keep Tupelo Beautiful.